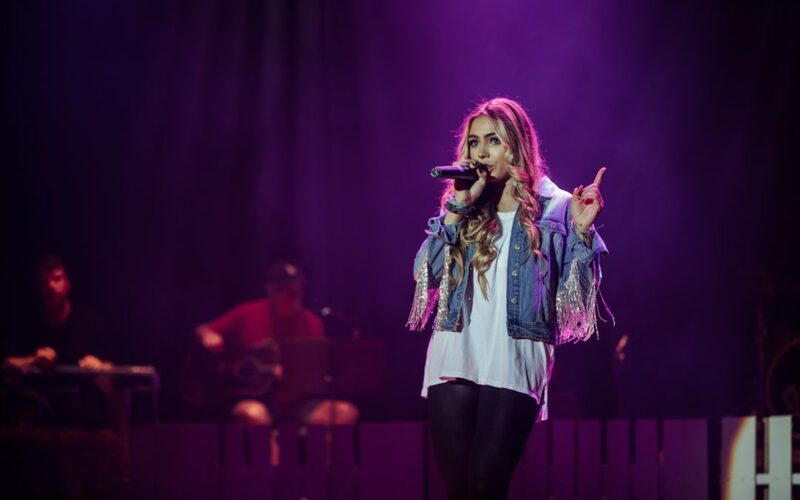 Thomas Rhett and Kelsea Ballerini both came from Lipscomb in recent years, and Lipscomb student Peytan Porter is making plans to follow in their footsteps. Porter started her singing career at the age of 12, but she said it wasn’t actually something she wanted to do at the time. She only wrote songs about how her mom was mean for giving her chores. Ever since then, Porter has been focusing on her songwriting, including her job as a full-time staff writer at Sea Gayle Music and doing a songwriting internship. 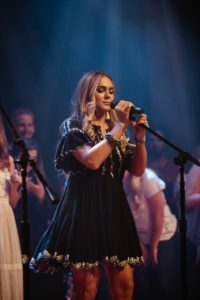 She said she has always dreamed of becoming apart of the Nashville music scene, and even called it her “Disney World vacation” when she was able to visit at fourteen. Porter said she chose Lipscomb over Belmont’s music program because she liked how Lipscomb’s program felt like a small, Christian community. She is no longer a music major, however. 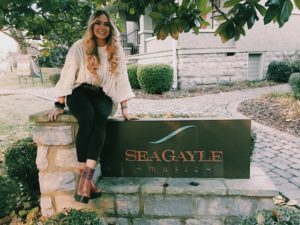 She said she decided there were business aspects of the industry she wanted to know, but that she has learned more from working in the music industry now than when it was actually her major. Around Lipscomb, Porter is known for her performances at the Cowboy Show, Singarama and her collabs with Lipscomb’s Hudson Parker. This includes helping direct the Tau Phi Cowboy Show last year, which she said taught her a lot about bringing music to life visually. “We pulled it off, so that was good, but it taught me as an artist that I can dream up the stuff that people can see,” Porter said. In terms of what’s next for the singer-songwriter, she’s got a few ideas in mind. You’re AWESOME!!!!!! Keep using the gifts you were given from the good LORD above!!! !